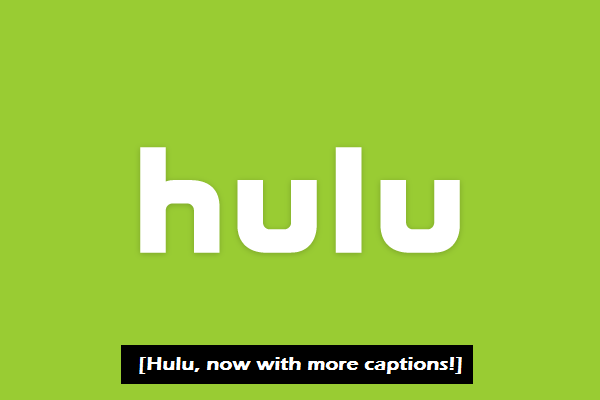 With over 48 millions deaf and hard of hearing in the US alone, it is no surprise that the need for closed captions on television has been huge for some time. However, many online services have been slacking. Youtube has added the CC feature for some time, but it is computer generated from the audio and far from perfect. However, for a free video service, Google has done a reasonable job to attempt to make its content accessible to all. Hulu on the other had, is a paid video streaming service and they have not been as forthcoming with accessibility issues. They have recently came to an agreement through a settlement, that they will now be offering 100% of their full length content with the CC feature as well. Don’t expect to see huge changes overnight, but the clock is ticking for Hulu.com to hold up to their settlement requirements in just one years time.